The Alkali Creek feedground and 21 others in Wyoming are operated by the Wyoming Game and Fish Department. A large and growing body of research shows that feeding elk greatly speeds the spread of diseases in ungulates, including the always-fatal Chronic Wasting Disease (CWD). Wasting disease is sweeping westward across Wyoming, and was found in seven new hunt areas in 2014. The Forest Service’s January decision made headlines when Acting Supervisor Kathryn Conant openly admitted that WGFD’s feeding increases risk of disease transmission, yet the Forest Service decided to continue the feeding regardless. The groups objected on the basis that the feeding decision violated many of the Forest Service’s duties to protect wildlife and wilderness. For example, the Forest Service refused to even consider phasing out feeding on Forest Service lands, as required by law, despite overwhelming public support and science indicating that this is the best way to prevent and minimize the spread of CWD. 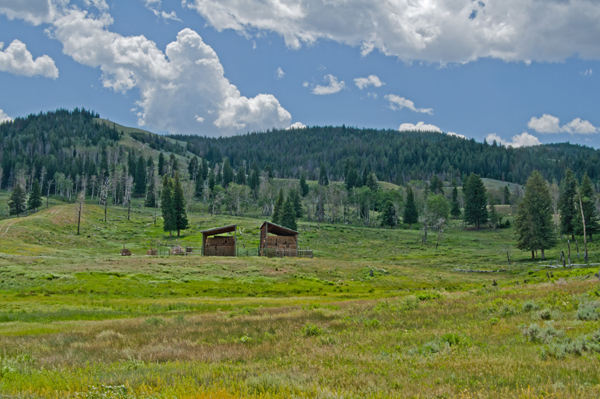 Additionally, feeding at Alkali Creek denudes vegetation and maintains unnatural conditions in the Gros Ventre Wilderness, contrary to the Wilderness Act. “Feedgrounds are counterproductive. Conserving large carnivores and allowing elk and deer herds to disperse freely are the best measures to keep herds healthy,” said Lloyd Dorsey of Wyoming Wildlife Advocates. “We remain very concerned about the artificial concentration of elk on feedgrounds in Wyoming and the spread of Chronic Wasting Disease. There is an unbroken chain of elk from these ill-advised feedgrounds in Wyoming to our cherished wildlife winter ranges in Montana. These feedgrounds threatened wildlife throughout the entire Greater Yellowstone Ecosystem,” said Glenn Hockett, Gallatin Wildlife Association. The groups objecting are Western Watersheds Project, Wilderness Watch, Sierra Club Wyoming Chapter, and Gallatin Wildlife Association. A separate coalition of groups announced their intention to file for Interested Party status in support of the objections against the feedground, including Wyoming Wildlife Advocates and WildEarth Guardians. A copy of the objection can be read online here. And the next irony will be when WF&G foolishly decides more cougars and wolves must die to save the elk as they die of CWD – never mind that it will only make matters worse for elk. Seems to conclude it to be part of a reduction of the feeding program, but it is confusing. The estimated high number for Elk this winter was somewhere over 8K. Elk are already migrating back in to my area (and they are over a month early, like the pronghorns) Sure the Wyoming elk on the refuge, would of left earlier if not for the feeding program. That is what I think. It seems to me that they have really made no progress.